H & H concrete dining tables are unique, beautiful pieces of contemporary furniture that look fantastic on wooden, concrete and tiled floors. When cast correctly, natural concrete has a glass smooth, warm, velvety feel to it - with the industrial looking imperfections we all associate with concrete. We make our tables using traditional hand cast concrete or a much lighter composite concrete. We can also make table tops in 2 or more sections to further simplify moves. 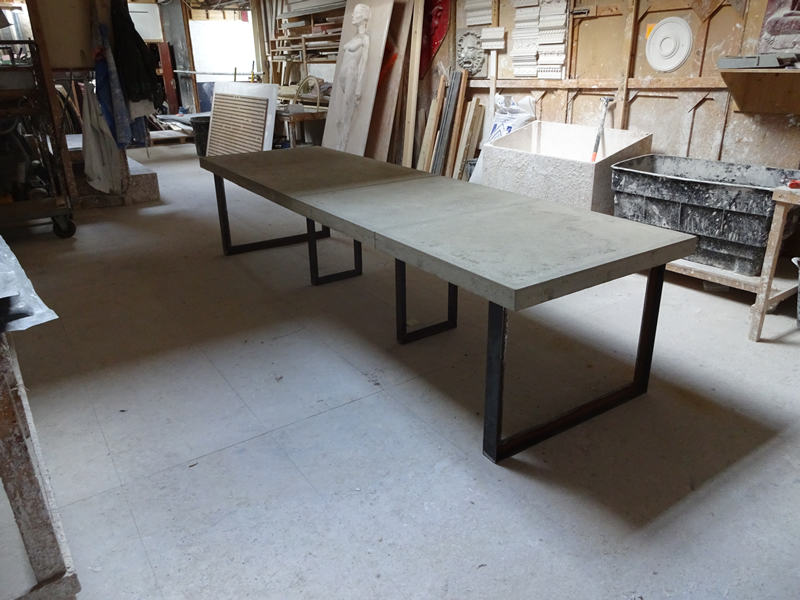 As with all bespoke H & H furniture, our concrete tables can be made to measure. We generally use steel table legs but would be happy to discuss other options with you.